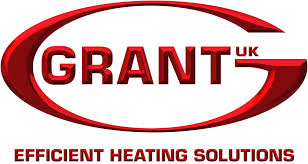 Grant are a leading heating company in UK and Ireland. Priding themselves on combining precision engineering, innovation and performance with value for money to produce heating systems that are trusted by installers and householders and that are also sustainable. Grant’s extensive range of sophisticated, yet simple, solutions includes their award winning Vortex oil fired condensing boilers to the latest renewable technologies such as solar thermal, air source heat pumps, cylinders and condensing biomass boilers.